MESA is very proud to offer a fantastic product line of Heat Presses that feature the world’s most innovative technology. 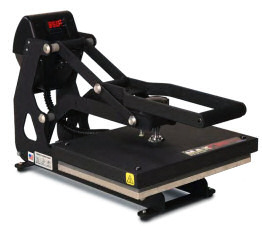 The Heat Tech line of heat presses offers all the features you need, including hover functions and auto-release. 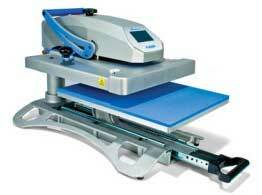 Stahl's MAXX 15x15 digital clam style heat press. Selectable temperature range of 205 to 430 degrees. Digital timer. Selectable automatic pressure. Teflon coated heating platen. Uses standard 120V electricity. Drop shipped - price includes freight. 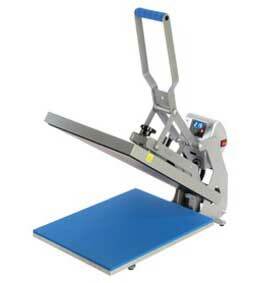 Stahl's MAXX 16x20 digital clam style heat press. Selectable temperature range of 205 to 430 degrees. Digital timer. Selectable automatic pressure. Teflon coated heating platen. Uses standard 120V electricity. Drop shipped - price includes freight. Stahl's Hotronix Auto Open Clam 16x20 auto-opening digital clam style heat press. Selectable temperature range of 205 to 430 degrees. Digital timer. Selectable automatic pressure. Teflon coated heating platen. Uses standard 120V electricity. Drop shipped - price includes freight. 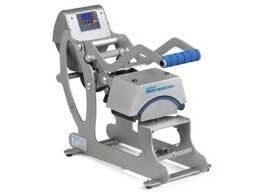 Stahl's Hotronix Hover Press 16x20 auto-opening digital clam style heat press. Two modes : one for contact, one for pressure. Three settings: hover, pressure, or combination of both. This heat press is highly recommended for curing DTG prints. Uses standard 120V electricity. Drop shipped - price includes freight. 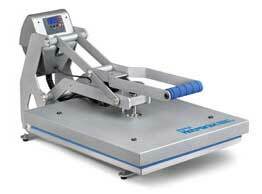 Stahl's Hotronix Fusion Press 16x20 auto-opening heat press with touch-screen technology. Dual function - swing or draw. Digital time, temperature, and pres settings. Uses standard 120V electricity. Drop shipped - price includes freight. Stahl's Hotronix Cap Press with patented magnetic assist lock down and auto open, digital controls, twin timer, and flotational heat platen. Uses standard 120V electricity. Drop shipped - price includes freight. © 2019 MESA Distributors, Inc. All rights reserved.